Our guide to Orlando will help you find the best kid friendly parks in Orlando Florida. 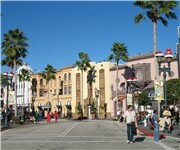 Orlando has a ton of great theme parks for the entire family from Walt Disney World and Sea World to Universal Studios. Walt Disney World has its own free transportation system, including buses, trams, monorail trains, and boats, which can get you wherever you want to go. If you're staying on Disney property, you can use Disney's transportation system exclusively. In general, allow up to an hour to travel between parks and hotels. There are tons of great kid friendly parks in the city of Orlando, our city guide will help you find the best kid friendly parks. You may have a hard time deciding what to do in Orlando, but we make your decision easy. 1 N Powers Dr, (407) 254-9050 - Orlo Vista Park offers a range of amenities and recreational programs. The grounds feature a fishing pier, tennis courts, and a playground. 1055 Delaney Ave - Escape the hullabaloo of Lake Eola Park and instead take a short drive to Delaney Park. 13001 Founders Sq Dr, (407) 864-4444 - As one of Orlando's area planned communities, Avalon Park offers families a place to "Live, Learn, Work, and Play!" 290 W Holden Ave, (407) 858-2295 - Cypress Grove Park houses three multi-use fields, basketball and volleyball facilities, a playground, and picnic facilities. 3701 Gatlin Ave, (407) 249-6102 - Barber Park offers an outdoor roller hockey rink, three soccer fields, fishing, and a playground. 4801 W Colonial Dr, (407) 836-6248 - Adjacent to the Central Florida Fairgrounds, Barnett Park's numerous youth and recreational programs make it a stand-out location for families. 500 E Harding St - Wadeview Park is located in the heart of the Wadeview Park neighborhood, just south of downtown. 5100 Turkey Lake Rd, (407) 254-9175 - Don't let the power poles at the entrance fool you - Shadow Bay Park offers safe and fun recreation surrounded - mostly - by nature. 57 S Ivanhoe Blvd, (407) 246-2283 - Lake Ivanhoe Park offers great views of the downtown Orlando skyline, and is a serene location to take a break and have lunch. 704 E Church St, (407) 846-4545 - The park, at the corner of West Church Street and Parramore Avenue in downtown Orlando, features a 5.5 acre pond surrounded by green space. 715 Capehart Dr, (407) 254-9160 - One of the area's hidden gems, Capehart Park offers some of the best recreation opportunities for families. 822 Dartmouth St, (407) 246-2283 - A great community meeting spot, Dartmouth Park is an excellent place to spend an afternoon in the heart of College Park. 1000 Universal Studios Plz, (407) 363-8000 - Visitors are part of the show at Universal Studios Florida, where favorite movies "come to life" in the form of great rides and live shows. 6200 International Dr, (407) 351-1800 - Voted the number one water park in America by Amusement Business magazine, there's aqua fun for everyone at Wet 'n Wild. 246 S Orange Ave, (407) 841-1000 - Duncan Park at SunTrust Center is a kid friendly located in Orlando FL. There are plenty more kid friendly parks in Orlando. 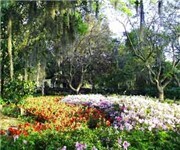 See all kid friendly parks in Orlando Florida.